The New Cosmos of Photography 2019 Global Photo Contest is back again for its 42nd edition, officially accepting entries starting from today 17th April 2019. There are quite a number of different photography competitions around the world that photographers enter to put themselves to the test of their photography artistic style, creativity, skills, knowledge and photo stories with fellow photographers from the rest of the world. Reading through the details of New Cosmos of Photography 2019 Global Photography Competition website and looking at the entries from previous years, my feel is that this photography competition is not the “usual style” photography competitions that I have seen around the world. Although I am not a new photographer, I am thinking of entering New Cosmos of Photography 2019 Global Photography Competition. I would really like to explore more in-depth of my creative photography expression inside me, whereby I am able to bring it out through my personal photography projects. Canon Inc. will begin accepting entries for its New Cosmos of Photography 2019 (42nd edition) photo competition on 17 April. To promote the competition as a global photo contest, experts from outside Japan have once again been invited to judge this year’s competition. 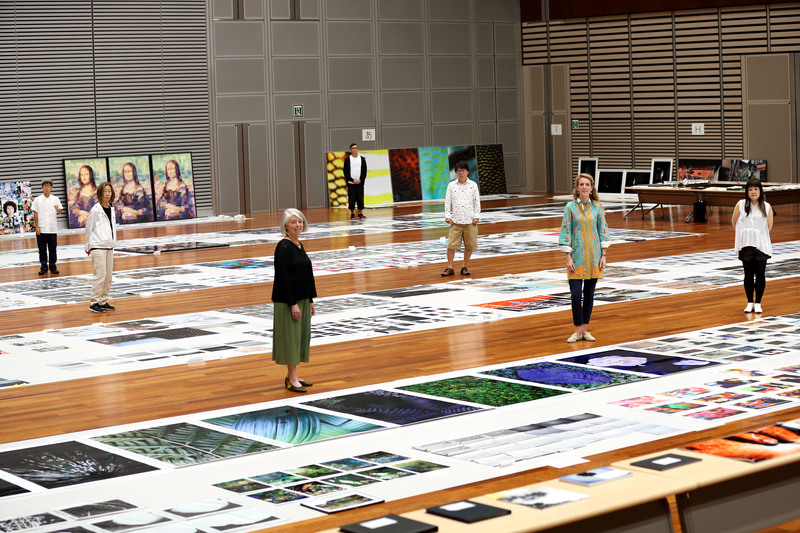 Entries for New Cosmos of Photography 2019 will be accepted between 17 April to 12 June 2019, while the Excellence Award Selection Committee will meet in July to choose seven Excellence Award winners and fourteen Honorable Mention Award winners. In November, the Grand Prize selection committee is scheduled to meet to select one Grand Prize winner from among the seven Excellence Award-winning entries. The Grand Prize winner of this year’s competition will receive JPY 1 million (approx. SGD 12,170) in prize money and a Canon product. As a bonus, the Grand Prize winner will be granted the right to hold a solo exhibit at the exhibition of winning entries for next year’s New Cosmos of Photography. Additionally, to support the continued pursuit of their creative activities, 2019 Excellence Award and Honorable Mention Award winners will each receive prize money and the right to display their works at this year’s exhibition of winning entries. The New Cosmos of Photography is Canon’s cultural support project to discover, nurture, and support new photographers who pursue new possibilities in creative photographic expression. Launched in 1991, this year marks the 29th iteration of the annual contest, which, since its 25th iteration in 2015, has expanded to accept digital submissions (stills and video). In line with promoting the competition as a global photo contest that elevates photographers and videographers playing an active role in the current art scene, this year’s seven judges will include San Francisco Museum of Modern Art (SFMoMA) Curator Emerita of Photography, Sandra Philips, and Japanese photographer, Mikiya Takimoto. The New Cosmos of Photography encourages the creation of original works that push the boundaries of photography’s potential and systematically assists and nurtures award winners through exhibitions and published collections of their winning works as well as through publicity on the New Cosmos of Photography website. To date, the New Cosmos of Photography contest has accepted 29,398 entries from both individuals and groups, and has turned out a great number of outstanding photographers who are enjoying widespread success around the world. As a result, the contest has come to be regarded today as a gateway to success for new photographers. Last year, the grand prize winner was from Singapore. Mr. Ang Song-Nian’s work ‘Hanging Heavy on My Eyes’ emerged as the winning entry amidst the 1,992 submissions.